Using a paring knife, lightly score the very top rind of cheese in a crisscross pattern. Place 1 sheet of store-bought puff pastry on a lightly floured work surface Set cheese in center of the pastry. Place the chopped figs evenly on top of the cheese and drizzle with the honey. To serve: Preheat the oven to 400 degrees F. Line a baking sheet with parchment paper and set aside. Place the brie en croute on the baking sheet and using a pastry brush, lightly brush the entire pastry with the egg wash. Place in the oven and bake, rotating halfway through, until the pastry is a nice golden brown color, about 30-35M. 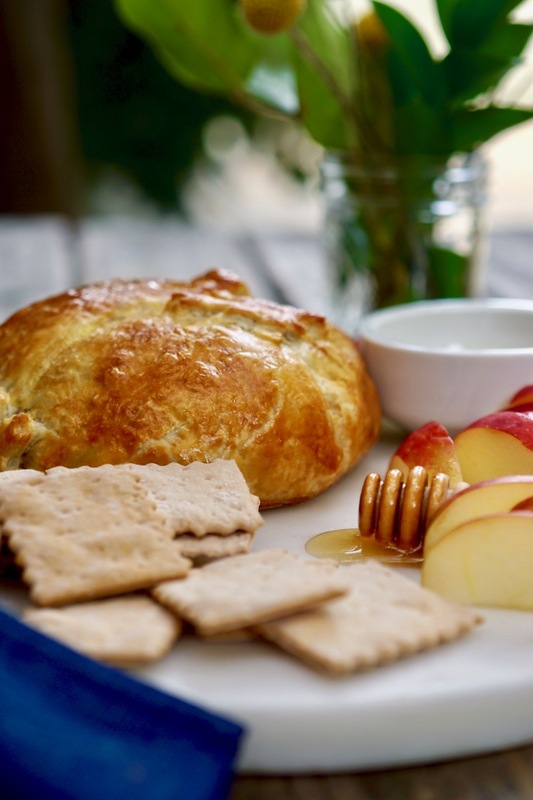 Remove from the oven as serve immediately with your favorite crackers. 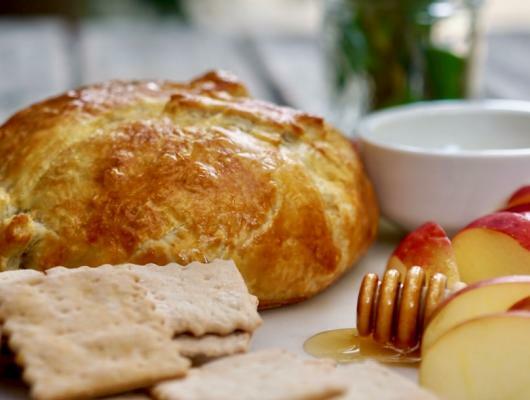 Baked brie en croute with fig and honey is a great prep-ahead, crowd-pleasing appetizer for Christmas.